Be adventurous if you have the luxury of a garden, even one in a pot. That’s why I’m growing dragon’s eggs. Within 20 minutes, I have the prospect of four farmers’ markets, our CSA, working farms that sell what they grow, an organic indoor vegetable market that sources widely, and then some. Yet the variety of produce is pretty narrow in range. Take cucumbers for example. 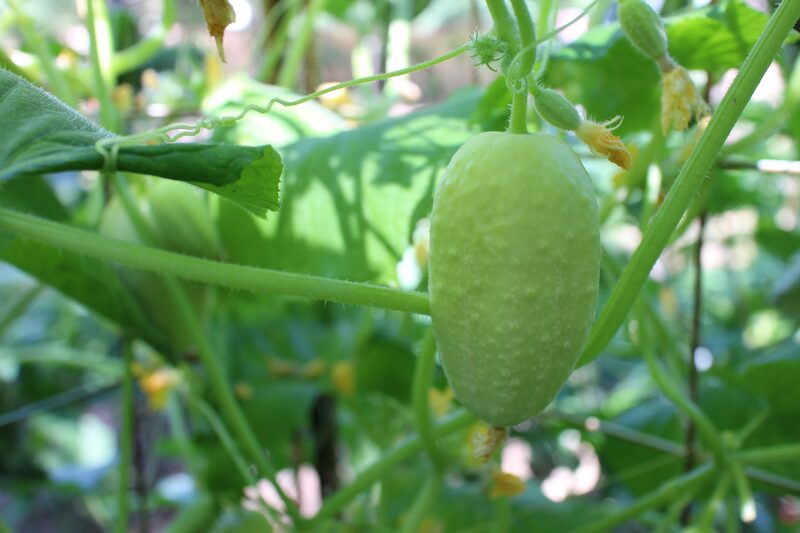 We see the ubiquitous cuke called Marketmore (that name’s no surprise) and seasonal Kirbys for pickling. Grocery chains sell English and Persian versions wrapped in plastic, clearly not local and probably not that fresh. 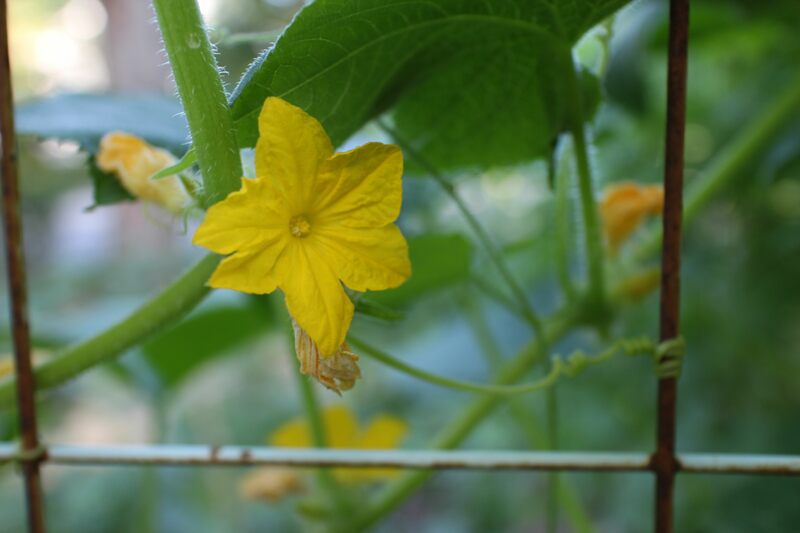 Once in a while, sourced from local farms, we’ll see the golden spheres of Lemon Cucumbers, which I’ve grown myself, or super long Armenian cucumbers, which are actually melons. Or, for a fleeting moment last fall, Mexican sour gherkins, which I wouldn’t have known about but am growing now. 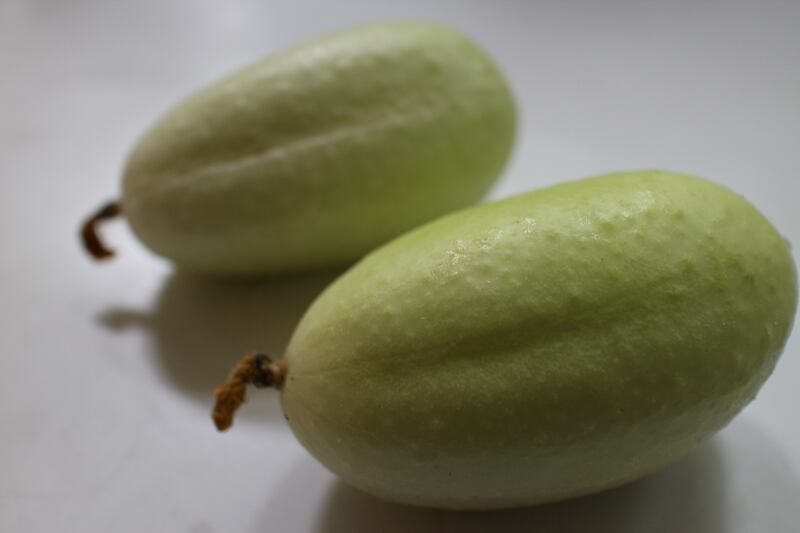 Also technically not a cucumber, these inch-long, oblong fruits resemble miniature watermelons and are crisp little bites. The Chinese farmer who attends our local Saturday market usually has the best options for out-of-the-ordinary cucumbers and melons. This year, I’ve discovered two cucumbers that I highly recommend. One, Suyo Long, needs a giant trellis to grow, I’m sure, since the ones I’ve snagged at the farmers market are about 18 inches long. Crisp and flavorful when the skin is left on, they out-rival the English cucumber although they do have seeds. The other, my new hero, is the Dragon’s Egg. It’s about the size of a large duck egg and fits nicely in the palm of your hand, a beautiful object. Creamy white and melon-like in flavor, they’re relatively thin-skinned so you can eat the whole thing. The vines are mad scramblers and the plants, covered with bright yellow flowers favored by bees, are very prolific. As an heirloom, they’re susceptible to cucumber wilt but if you’re as lucky as I, you’ll get a healthy size crop before then. I grow them tightly spaced for shade along a 4-foot high “fence,” which I’d prefer to be 5-6 feet high. You could grow them in a pot topped with a tomato cage. They need a good amount of water, from the base, and in the heat of summer, it helps if they get some shade during part of the day. Here, I paired Suyo Long and Dragon’s Egg in a simple salad. After slicing cucumbers, I lightly salt them, park a few ice cubes on top, and let them sit on the counter for about 10 minutes. This draws out a little liquid but lightly flavors and crisps them. Sprinkled with a little white wine vinegar and seasoned with tarragon or dill, and you’re good to go. I topped mine with Greek yogurt flavored with finely minced scallions, dill and parsley. 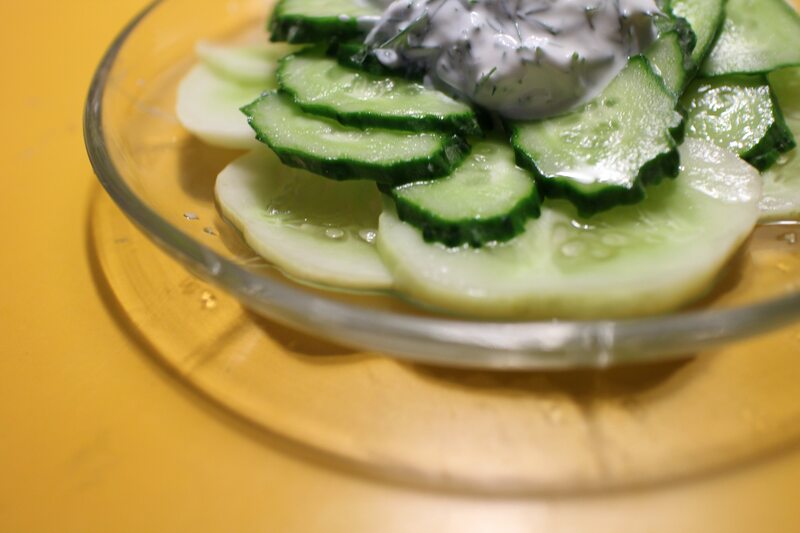 Cucumbers are highly nutritious, full of Potassium and Vitamins C and K and other antioxidants, and more versatile in the kitchen than most people realize. I had a delicious cucumber curry in Sri Lanka a couple of months ago. Now, with the success of the Dragon’s Eggs, I’m preparing for next year’s Poona Kheeras!